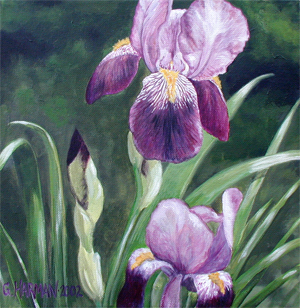 Purple Iris Flower Painting by Gina Harman. Original Acrylic on Canvas Painting. Purple Iris painting depicting our very thick growth of purple iris that needs to be seperated and moved. They have the most spectacular royal purple coloring!